Autumn in Glacier National Park brings spectacular displays of fall colors. Aspen, birch and cottonwood trees provide the bulk of the color, but many hillsides, barren of trees, are ablaze in reds and oranges of huckleberry, mountain maple, serviceberry and mountain ash bushes. 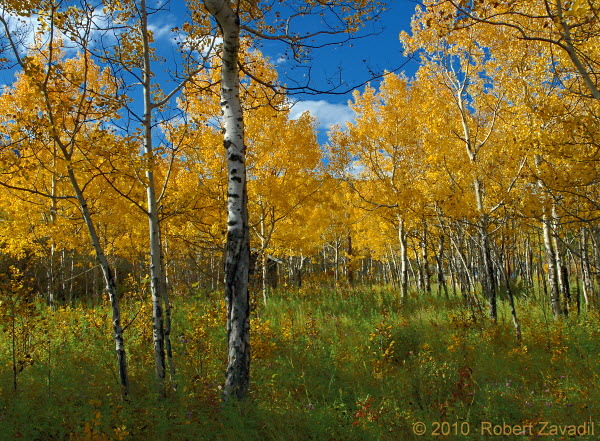 This photograph of a grove of Aspen trees was taken in the vicinity of the St Mary campground.